Sorry . . . I couldn't pass that up. Well like I said, SHINee is indeed back and here are my thoughts and comments about the second chapter from their third full-length album. Overall the album has subtle dark electro-type undertones to each song, but they are not to the point that its overpowering the songs as a whole. 'Nightmare': With its deep base and a vocals that have a twinge of darkness to them, it's a very captivating song to listen to. 'SHINe (Madusa I)': Has a balad feel to it at times but there is an intense force behind this song that cant be missed. 'Orgel': A typical slow song in an album, but even if you dont prefer the slow songs (like myself) its hard to switch away from this song. 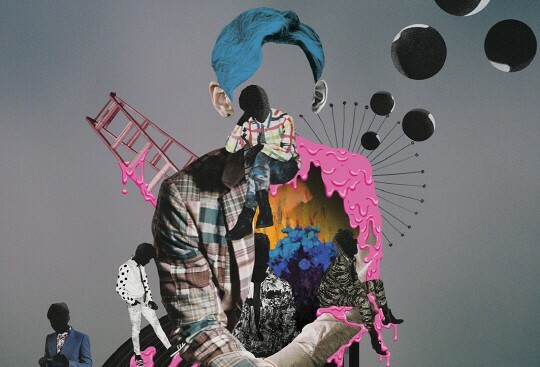 Honestly, this is one of SHINee's best albums so far. I am extremely pleased I decided to purchase the album.